Nuby Printed Feeding Bottle - 240 ml | Yellow | Bpa free. 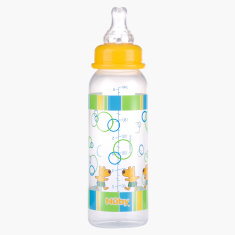 Printed to look adorable, this feeding bottle will become your kid's choicest. 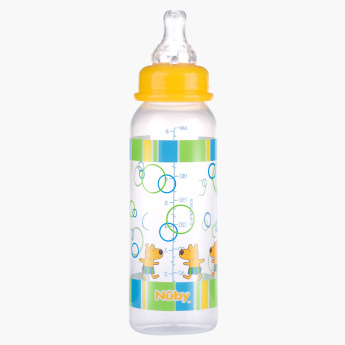 Convenient to use, it has a tall shape and the pacifier makes it easy to sip from.